Town Business Center buys all types of used Canadian business machines, wide format plotters, printers and scanners from companies like HP, Canon, KIP, Oce and Xerox to name a few. KIP and Océ systems consistently deliver comprehensive large-format document plotting, copying, scanning and management solutions which optimize your printing processes and workflow. HP and Canon large-format printers deliver exceptional quality and fade-resistant color consistency. HP multifunction printers can easily print, copy, scan, digitally send and fax. 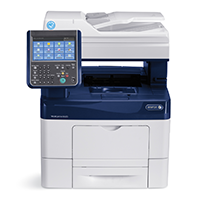 These MFP’s have brilliant color plus robust paper handling, management and security. Konica Minolta’s BizHub office color multifunction printers (MFPs) offer cost-effective, high-performance, high-value document management solutions for any office setting. Wide-format scanning equipment is designed for Mapping, CAD and Document Archiving applications. Contact Town Business Center at your earliest convenience and we will be happy to help you with your used business machine buy or selling needs, 570.602.1640. 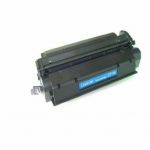 Our skilled sales team is dedicated to buying large business machines and copiers that will provide our customers with a solution to their printing, scanning and copier needs, quickly and affordably. At Town Business Center one of our on-site technicians will evaluate, restore and repair these large used office machines before the product leaves our warehouse.